Roberto Martinez has given Brazil a huge indication as to how Belgium will approach their World Cup quarter-final on Friday, acknowledging a need for "power" which could result in Marouane Fellaini starting. Belgium scraped through their last-16 clash with Japan by scoring in second-half stoppage time – Nacer Chadli finishing off a devastating counter-attack to wrap up a 3-2 win after Martinez's side had fallen 2-0 behind. 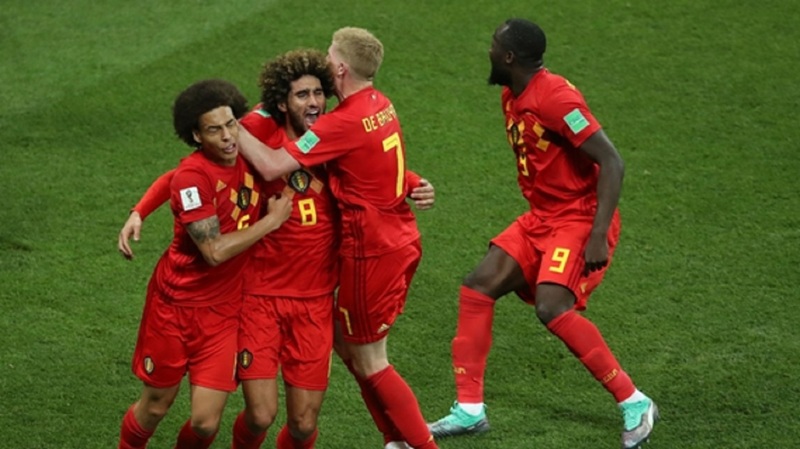 The turn of the tide seemed to coincide with Fellaini and Chadli coming on in the 65th minute, giving Belgium more of a physical edge than they had previously with Dries Mertens and Yannick Carrasco, as both substitutes found the net. And Martinez has given a strong hint that Fellaini could feature in his starting XI when Belgium face Brazil in the last eight in Kazan. "As a coach I have a lot of options with this team but I know in my head what I want to do," Martinez said. "We will need power. If we show the same mentality as we did on Monday, we have a big chance. "It's a dream match for our players, they were born to play in a match like this. Naturally we want to win but we are not expected to and that is an important difference." By contrast, Brazil looked fairly assured in dispatching Mexico, riding an early storm before finishing in commanding, composed fashion. Neymar was their leading light, scoring once and also grabbing an assist, giving every suggestion he has hit top form at the crucial time following his layoff with a broken foot. 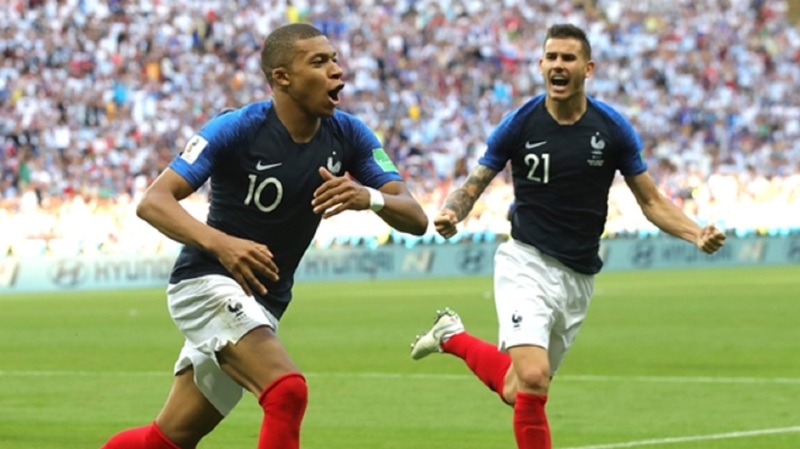 Yet it was not just his remarkable abilities and exploits in front of goal which caught the eye – the world's most expensive player also came in for staunch criticism from Mexico players and coach Juan Carlos Osorio, who accused of Neymar "acting" in an attempt to get refereeing decisions. 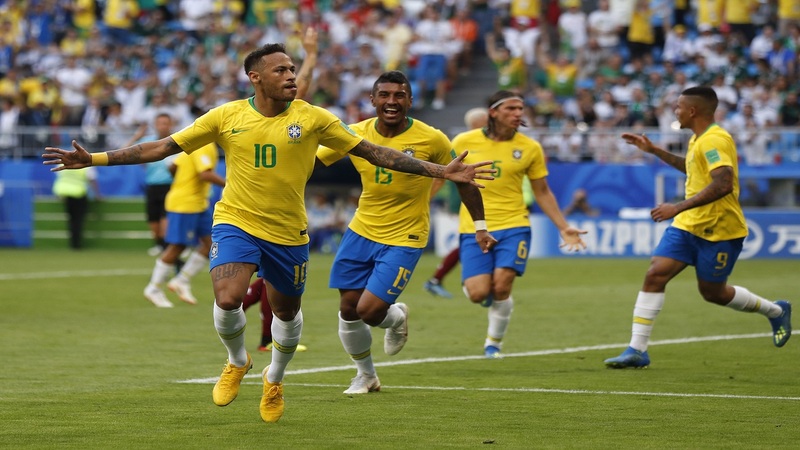 But Brazil great Rivaldo just wants Neymar to ignore the criticism and keep playing as he has been, with Belgium surely bracing themselves for the tricky attacker's likely impact. "Neymar, play like you always played and do not worry about comments from other countries, because many are already at home," Rivaldo wrote on his official Instagram page. "If you have to dribble, dribble. If you have to do a 'chapeau' [trick which involves flicking the ball over your head], do it. If you have to score, do it. If you have to fall with the fouls, fall. "And if you have to gain time on the ground, win it, because everyone does the same. The problem is that you are the guy, the idol of our country and unfortunately this is bothering a lot of people, I do not know why. "Rise above it, as always, and continue to enchant us with your football." Coach Tite will be without defensive midfielder Casemiro due to suspension, while Douglas Costa (thigh) remains a doubt. If Neymar plays well, Brazil play well – it is as simple as that. The Paris Saint-Germain star is their talisman and standout star. After appearing to properly find his groove against Mexico, he will undoubtedly be eager to step up another level and that could doom Belgium. Although Martinez says "power" will be vital against Brazil, he would be wise to remember that he also has one of the world's most decisive midfielders at his disposal. 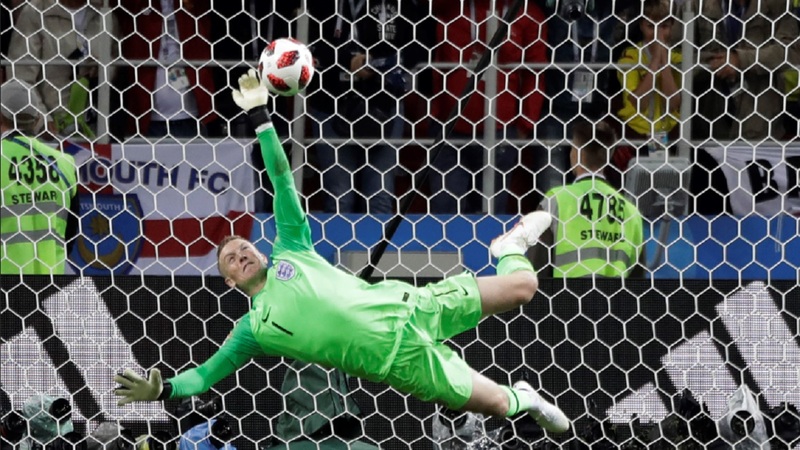 Against Japan, Kevin De Bruyne was deployed far too deep until the latter stages. With Casemiro out, De Bruyne can be the man to exploit Brazil's core. - Brazil are playing the quarter-final for the seventh successive World Cup tournament. They have only gone out twice at this stage in that run (against France in 2006 and Netherlands in 2010). - The Selecao have been knocked out of the World Cup by a European side in each of the last three tournaments (France in 2006, Netherlands in 2010 and Germany in 2014). - Eden Hazard has been directly involved in 19 goals in his 18 games for Belgium under Martinez, scoring 10 and setting up nine.